A baby brings people together like nothing else does and a Valaikappu ceremony is just this, to show the soon to-be mother social support and blessings for her baby. Well wishers must be thanked appropriately and for this we bring you a host of creative ideas, not just for gifts for guests, but also on how to arrange and decorate the venue for this ceremony. When you are about to become a new parent, everything revolves around your baby who will be going to fill your heart and life with unlimited joy and happiness. Before your baby is born, a baby shower is one of the wonderful ways to welcome the new addition to your family. There are different traditions to celebrate the baby shower among different cultures, but typically it is the time when would-be-mother is blessed by her friends and family and exchange the ideas about children and family. Gifts are given as a token of love and good wish to the loved people. The ceremony of Valaikappu is done by the women of Tamil Nadu and Telangana to bless the pregnant woman and ensure a safe birth. The time is just not a celebration, but it is an auspicious event to get all the positive vibes that come from the blessing of friends and families for the mother and the fetus. The celebration has many rites and rituals, among them the most highlighted ceremony is to wear new glass bangles mostly in red and green colours. Helps in blood circulation and creates energy: the sound of the bangles promotes blood circulation as the consisting friction increases blood circulation level and the ring-shaped bangles with no ends pass the energy inside the body. Creates acoustic stimuli and maintains emotional balance: the bangles also provides acoustic stimuli for the baby, as the tinkling sound creates a cheerful atmosphere and reduces stress. It also keeps the emotional balance as it controls stimulus with the vibration produced by your bangles. The colours of the bangles are intentionally chosen as red and green: the significance behind this is that green has a divine quality of peace and it is fresh, young and vibrant. While red represents the power to destroy evil and give protection. Glass bangles also can absorb goodness from the atmosphere: it radiates the pure and natural environ to the wearer from evils of the atmosphere. The soothing and gentle sound of the bangles echoes serenity, and they repulse the negative vibes. 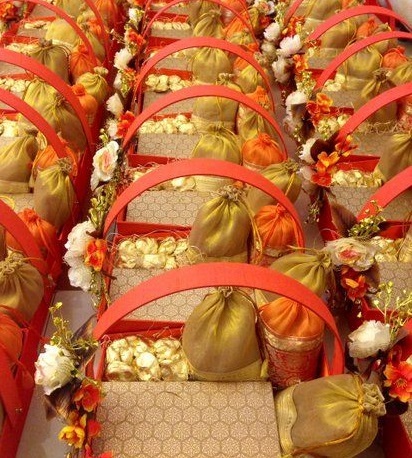 As a general custom Valaikappu has some specific return gifts for the friends and families, who attend the occasion. 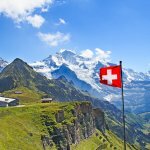 But as in modern days, people are leaving far away from the loved ones too, the gifts have also changed as per the utility purpose along with ethnic views. 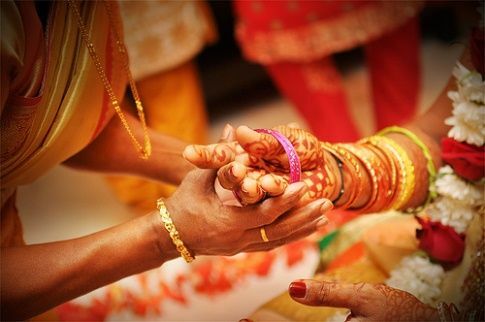 Bangles: bangles are the main item in the Valaikappu celebration, and you can choose from various designer bangles like the silk thread or the embroidered ones that look modern as well as keep the ethnic aspect intact. Handbags: it is a weakness of many women, and you can't go wrong with it. It can be said as the functional fashion which is a win-win gift for anyone. 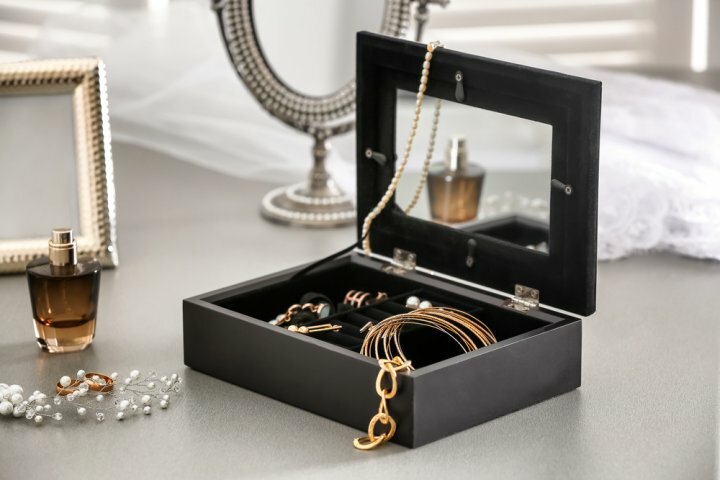 Jewellery organiser: every woman always needs an organiser for their jewellery. It can be a bangle box, you can put some glass bangles in them as a traditional sign of the occasion. Along with that necklace holder, pouches or earring holders can be other options which are quite useful. 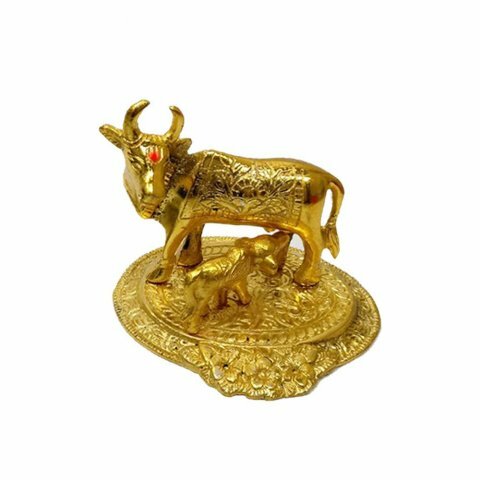 Kumkum boxes: you can also choose the cow and calf idol as it shows the bond between the mother and the baby. Snacks and beverages: an excellent gift idea can be a platter of dry fruit collection which is sweet and healthy. You can also think of gifting sachets of a different kind of tea-medley hamper which is a weakness of many people. Thinking of gifting something that will bring positivity in you and your guest when you give the gift? Since Valaikappu is observed across religious communities, you can give guests holy scriptures according to the faith you, or they follow. These are always appreciated and will make meaningful gifts. Just take a good holy book like Vedas. It is a religious textbook that originated in Ancient India. It comprises of the oldest layer of Sanskrit literature and oldest scriptures of Hinduism. The collection of hymns in Vedas were written between about 1500 to 1000 BCE. It has mythological accounts of poems, prayers and formulas which are considered sacred by the Vedic religion. It has the Hindu teachings which contain all the spiritual knowledge of the aspects of life. 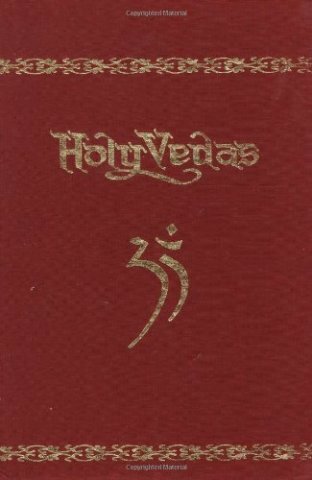 The golden book of holy Vedas is available at amazon.in at Rs.570 in hardcover. The bangles are the most important part of the Valaikappu celebration, and it is a great option as a gift. It has a personal signature in the form of a traditional gift to the guests. The green and red bangles reflect the cool young vibe as well as the power to destroy the bad ones from the atmosphere. 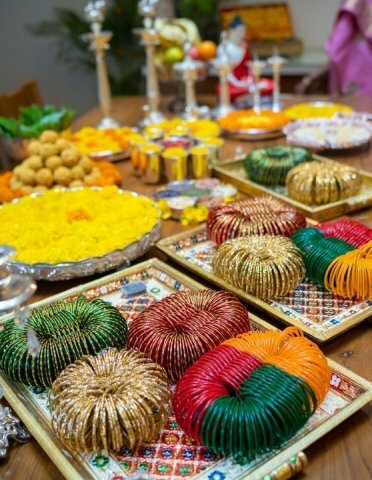 It symbolises the blessing and good wishes for would be mother and fetus as and also the guest who attend the function to celebrate the occasion. 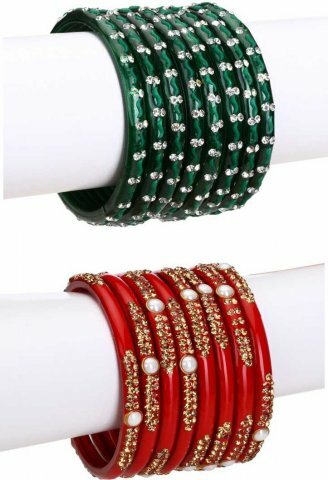 Get the beautiful set of green and red glass bead crystal bangles from flipkart.com at Rs.419 with a minimal delivery charge. If you are thinking of a utility product as a gift for the guests, a handbag will never go wrong. 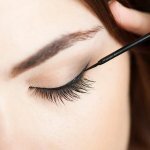 Every woman craves handbags, and these are useful too. It is a fashion item that is trendy with different outfits. The combo handbag from wedtree.in is a sure hit for the Valaikappu party, as it is a perfect gift for the ladies invited on an auspicious day. It has a handbag in a red colour, which matches the occasion, with peacock machine embroidery design. 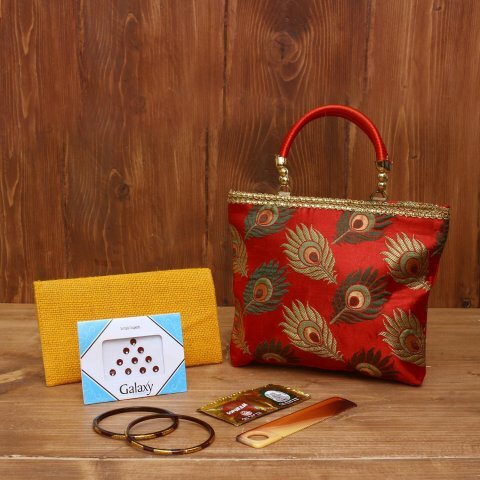 A set of bangles, a yellow jute purse, and a kumkum packet. The peacock handbag dimension is height 6 inches, length 8 inches. The length of the jute purse is 7 inches, and the size of the bangle is 3.8 inches. The price for this pack is Rs.96 per set, and you can get it within 15 working days. A candle stands for the ‘Puja Ghar’ of the guest is something that is appreciable by anyone. Whether there is electricity or not, a candle stands with ‘Ganesh and Laxmi’ idol is always one of the best choices for gifting. 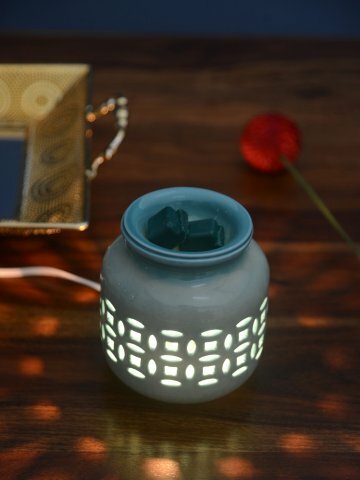 The tea light candle holder conveys the simplest message of holiness and purity. The Laxmi Ganesh tea light has a great shadow effect if the light in the dark due to the cut-edge art. The dimension of the candle holder is – length 15.5 cms, width 7.5 cms, height 9 cms, and weight 70 gms. The material used is tin, and the packaging comes in a cardboard box. 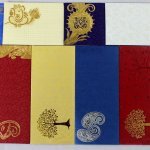 This handmade item is priced at Rs.99 at theoneshop.com. A perfect gifting solution that you can ever get as it is a great difficulty to choose the right gift for the occasion is a soap gift hamper. And if it contains the natural soaps which are good for nature and body, then it is, of course, a thoughtful gift for your guests and loved ones. 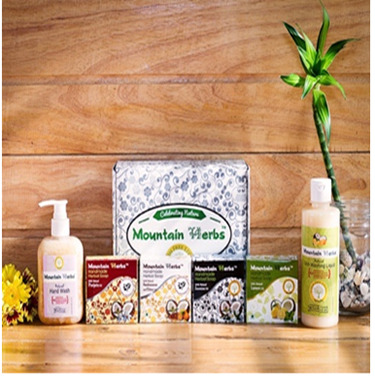 The medium size box contains a natural dish wash, one natural hand wash, four hand natural made soaps of different smells like of citrus fragrance, jasmine fragrance, and frankincense with citrus fragrance and parijata fragrance. The box comes handy for the beautiful occasion like Valaikappu for the guests, and its price is Rs.600 on mountainherbs.in. You can also get the large hamper box of the handmade soaps from the same brand. Candles fill a room with an elegant appeal, and it creates an instant romantic evening whenever it is lighted. And if the candles are scented, it adds fragrance and warmth too. This scented candles from At home will never disappoint you as décor for home, and it is one of the perfect gifts for your lovely guests at Valaikappu. This green, deep evergreen candle wax tart can be used in a jar, inside which you can lit a tea light candle, and on the lid of the jar, you can place the scented wax to spread fragrance when lighted. The wax comes in cubes of 10 pieces, and the product contains three wax tarts in solid pattern and rectangular shape. The dimension – height 12.5 cm, width 6 cm, and length 1.8 cm. The price for these tarts is Rs.537 after discount on Myntra. Valaikappu is an occasion of a mother, and the child and nothing goes better than an option of Kamadhenu idol for the guests who come to attend the party. It is a medium sized gold colour idol which is perfect for any puja ghar. The idol has a cow and its calf which is a symbol of bonding between the mother and the child. The idol has a length of 12 cm, width 10.8 cm, height 10 cm, and it is made of oxidised material. This is a handmade product and comes at an affordable price of Rs.199 on theoneshop.in. 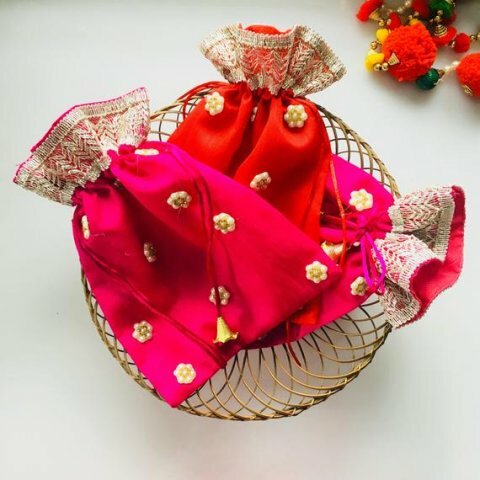 The most sought after gift you can choose is a beautiful bangle holder that goes with the occasion of Valaikappu really well and also it is a go-to an organiser for jewellery. 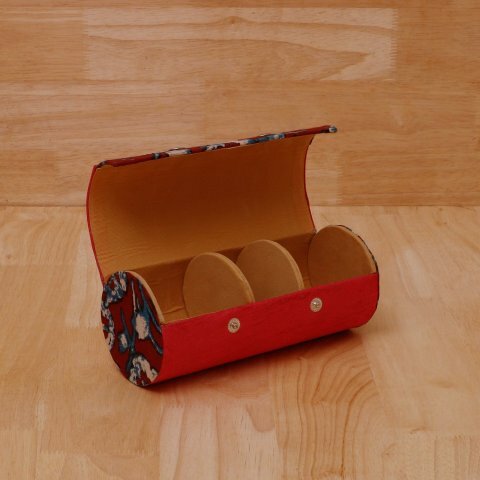 The bangle holder is made with Kalamkari fabric on both side and adjacent to the button closer. This bangle holder is a lot spacious to store sets of bangles as it has three separate compartments in it. 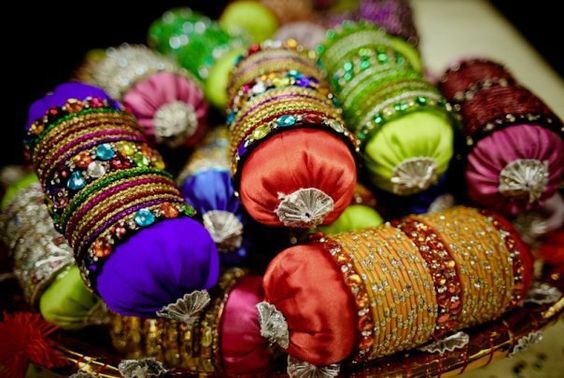 It is a gorgeous gift for your guests, you can set it up with green and red bangles inside, and make it look complete. The holder is priced at Rs.140 on wedtree.in. 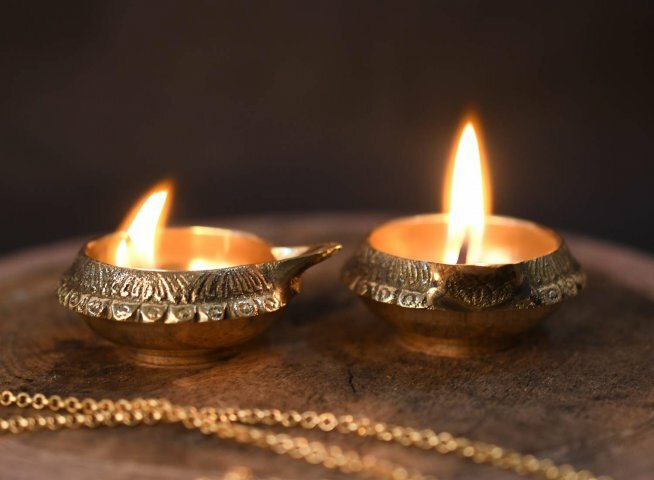 The brass diya is an in-house design and product of the brand ‘Collectible India’, and this set is a handmade item needed for worship as well as home décor. 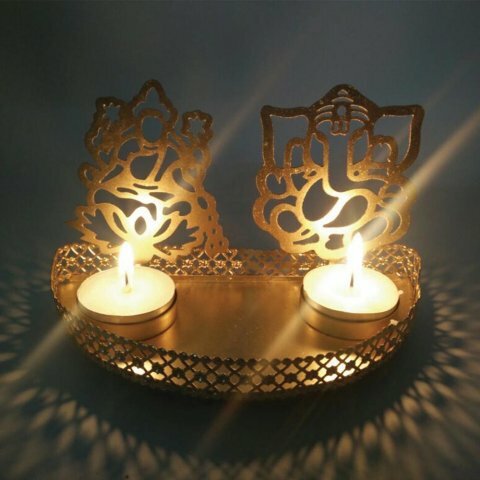 This traditional handmade brass diya oil lamp holder has golden finish figurine. It is made from premium quality material by the brilliant artist's handcrafted in India. It can be used in office, home, and living room décor. It is an ideal gift for the people you love and who comes in the ceremony of Valaikappu. The price for this gift item is just Rs.149 at amazon.in. A decorative pooja thali is needed in every grand festival, and if it comes as a gift, every woman cannot be happier. A must have puja utensil which is used in day to day life, is a thali something beautiful like one. A meenakari worked decorative pooja thali, which looks wonderful in the fibre plastic made metal plated surface is a great addition to a home and a perfect gift at Valaikappu day. 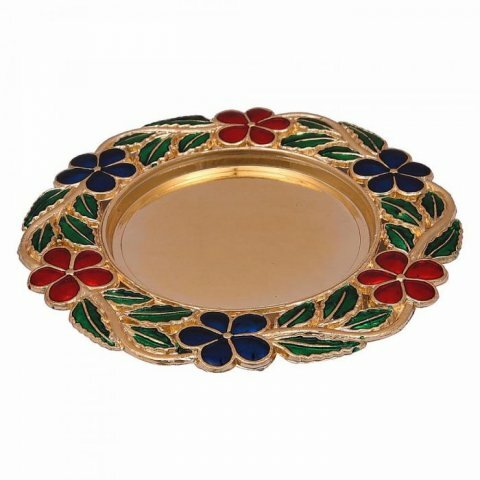 it will cost around Rs.99 for the small thali at nandigifts.com. You can make a grandeur of decoration or keep it simple according to your choice. Some basic arrangements can do a lot of difference in a soulful occasion like Valaikappu. An easy way is to pick a theme and then follow it for all the elements involved, including the way return gifts are packed. It can be a simple theme like floral or even specific colours, but it will simplify your subsequent choices in making arrangements. 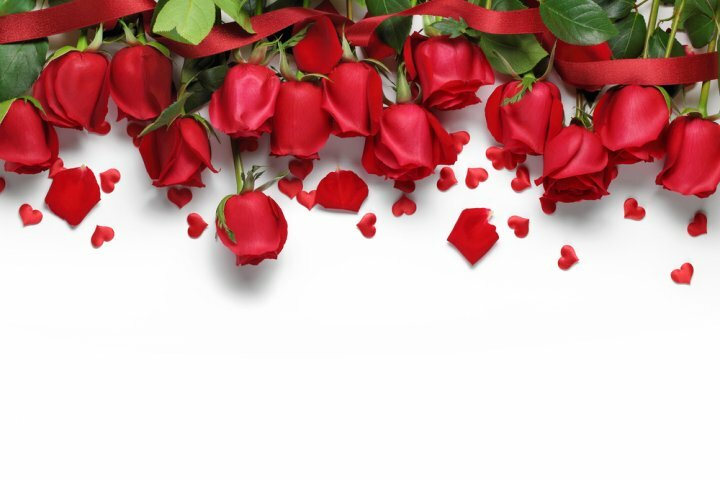 Fresh red roses is a fantastic idea to décor home and create a beautiful, pleasant ambience. A wall with fresh red roses where the mother-to-be will sit will keep all the focus just on the right place. 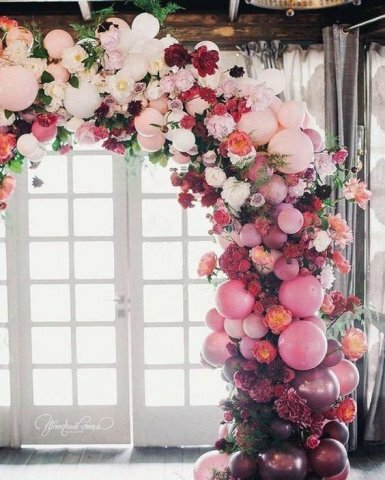 Other than that, square-shaped, diagonal hanging garlands or coloured flower as a theme decoration arrangement can be other options. You can refer to the video regarding the decoration with flowers to get the visual idea. 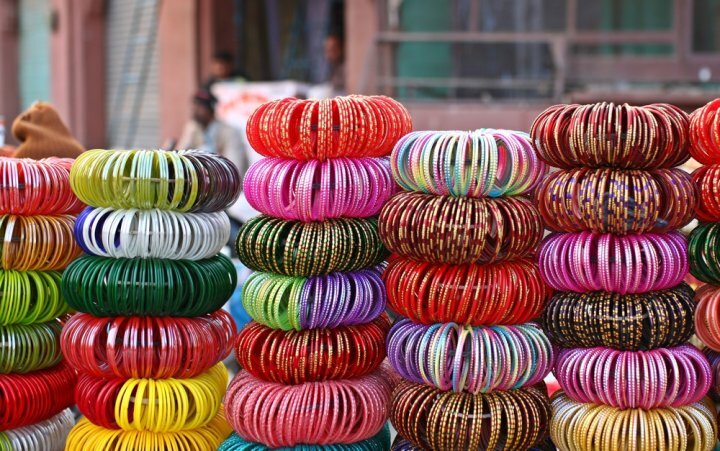 A celebration of bangles is the main item in a Valaikappu day. Choosing bracelets as a decorative item is rare but thoughtful. It creates a colourful atmosphere and acts as a blessing to the mother and the fetus. If you want to make the occasion more pleasing you can do a little work on how to decorate the gift items for your guests. Sometimes even the most simple of gifts can be given, such as a set of pretty bangles, some candles or small items of home decor. The way the gift is wrapped and presented will make all the difference. Look for creative ideas online. A personalised handbag for the Valaikappu celebration is a great idea to gift gifts inside it, to the guest who comes to attend the auspicious day. The bag is made of non-woven fabric and comes in multiple colours. It is lightweight, strong and durable and will last longer. With the use of premium quality raw material and advanced technology, this entire range of bags is an excellent addition to the celebration. The best idea to surprise your guests will be to make a gift basket for them all on your own. It is easy to make and affordable too. It needs some laces and a basket with a handle to decorate. This video will give you the exact instruction of how to make a gift basket for your guest in no time! There are so many creative and pretty options for what can be given to guests, but a sweet or even savory treat will always be appreciated. So have a gift they can take home, and a small treat they can munch on, either during the ceremony or afterwards. If there are kids at the function, these will go a long way, or you can have separate goodie bags with sweets and candy that will keep them busy.